Marcus Aurelius Antonius agnomine Caracalla fuit imperator Romanus ab anno 211 usque ad mortem. Anno 202 Plautillam in matrimonium duxit, anno 205 in exsilium misit, anno 211 eam interfici iussit. Caracalla then ruled jointly with his younger brother Geta, with whom he had a fraught relationship, until he had Geta murdered later that year. Caracalla's reign was marked by domestic instability and external invasions from the Germanic people. Caracalla was born Lucius Septimius Bassianus. He was renamed Marcus Aurelius Antoninus at the age of seven as part of his father's attempt at union with the families of Antoninus Pius and Marcus Aurelius. Tang Gaozu Li Yuan, Zi Shude, was born in Chang'an and was the founding emperor of the Tang Dynasty. He reigned from June 18th, 618th to September 4th, 626. After the Xuanwumen movement, he became a Buddhist monk and was called “too high”. Prince Shōtoku, also known as Prince Umayado (厩戸皇子 Umayado no Miko) or Prince Kamitsumiya (上宮皇子 Kamitsumiya no ōji), was a semi-legendary regent and a politician of the Asuka period in Japan who served under Empress Suiko 033推古055428天皇. He was the son of Emperor Yōmei 031用明051987天皇 and his consort, Princess Anahobe no Hashihito 穴穗部間人皇女, who was also Yōmei's younger half-sister. 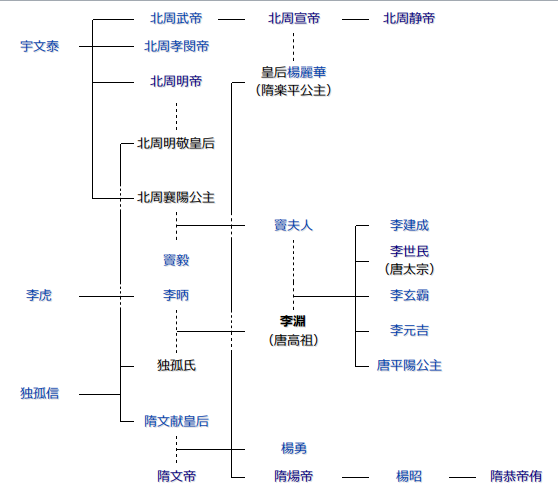 His parents were relatives of the ruling Soga clan蘇我氏 and he was involved in the defeat of the rival Mononobe clan 物部氏. The primary source of the life and accomplishments of Prince Shōtoku comes from the Nihon Shoki 『日本書紀』. 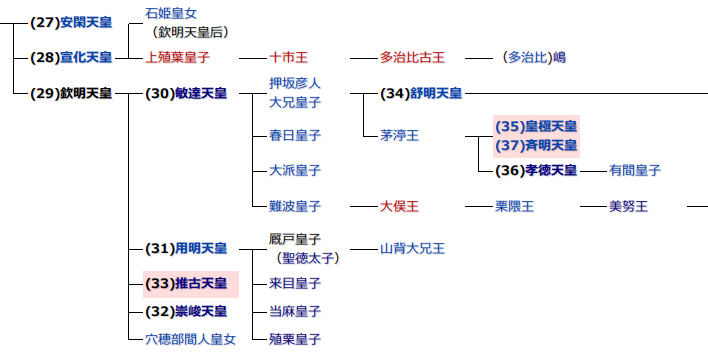 Il joua un rôle majeur dans l'implantation au Japon du bouddhisme et d'éléments de la culture chinoise, notamment l'écriture et le système d'organisation gouvernementale Ritsuryō 律令. Le Nihon Shoki, l'une des principales sources biographiques de ce prince, le qualifie en premier de Hijiri (聖, saint). saves Baghdad from the Saffarids. between forces of the Saffarid amir Ya'qub ibn Laith and the Abbasid Caliphate. Taking place some 80 km southeast (downstream) of Baghdad, the battle ended in a decisive victory for the Abbasids, forcing Ya`qub to halt his advance into Iraq. Mathilde l'Emperesse est reconnue « dame d'Angleterre et de Normandie ». The Mongols begin their siege on Kaifeng, the capital of the Jin dynasty. Pétrarque est couronné « prince des poètes » par le Sénat de Rome. Humanist und Astronom an der Wiener Universität. Durch eine verbesserte Planetentheorie wurde er ein Wegbereiter des kopernikanischen Weltbilds. Er baute innovative Messinstrumente, führte die Sinus-Funktion in astronomische Berechnungen ein und gilt als weltweit erster Universitätsprofessor speziell für Astronomie. Catholicae Ecclesiae declaravit quasi sacra vincere retro Musulmanorum in Hydruntum . The Catholic Church declared a crusade for the conquest of the Muslims of Otranto . 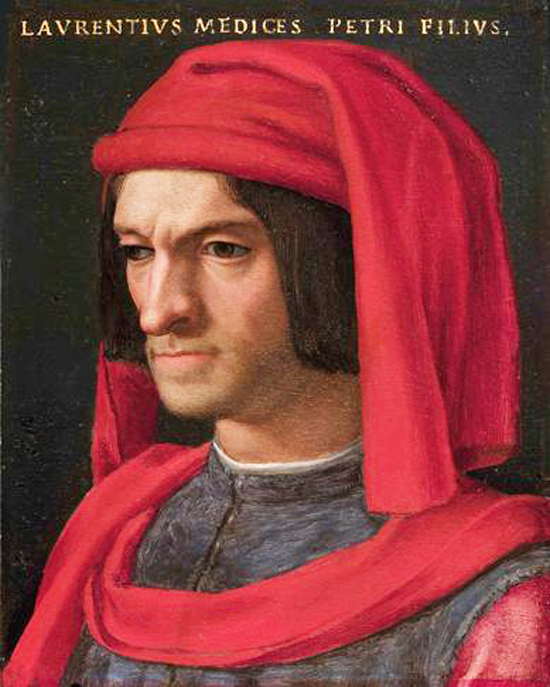 Lorenzo di Piero de' Medici, detto Lorenzo il Magnifico, il terzo della dinastia dei Medici. Quant'è bella giovinezza, Che si fugge tuttavia! Toyotomi Hidenaga, formerly known as Hashiba Koichirō (羽柴 小一郎). He was a half-brother of Toyotomi Hideyoshi 豊臣秀吉153798, one of the most powerful and significant warlords of Japan's Sengoku period. He was also known by his court title, Dainagon 大納言. He promoted Tōdō Takatora 藤堂高虎155630 to chief engineer. He led Hideyoshi's vanguard force a few years later into Satsuma 薩摩 Province, contributing heavily to his half-brother's victories in gaining control of Kyūshū 九州. He was regarded as Hideyoshi's brain and right-arm. He died in Kōriyama, Yamato Province (now Nara Prefecture), and his tomb is called Dainagon-zuka (大納言塚). Toyotomi Hideyoshu departed Osaka castle led by 25,000 troops for the suppression of Shimazu clan in Kyushu. Beijing Imperial Palace Taihe Temple (commonly known as the Golden Temple) was built. The Ayutthaya dynasty was destroyed by the invasion of Burma. The German-British astronomer Wilhelm Herschel discovers six previously unknown galaxies: Messier 91 and NGC 4419 in the constellation Haar der Berenike, NGC 4438 in the constellation Virgo as well as NGC 3377, NGC 3412 and NGC 3628 in the constellation Leo. Venus de Milo is discovered on the Aegean island of Milos. Alfred Heinrich Karl Ludwig Graf von Waldersee war ein preußischer Generalfeldmarschall 陸軍元帥. Er befehligte überwiegend Militäreinheiten in Hannover, war von 1888 bis 1891 Chef des Großen Generalstabs und um 1900 Oberbefehlshaber eines multinationalen Truppenkontingents, das zur Niederschlagung des chinesischen Boxeraufstands nach Peking entsandt worden war. When the Peking legation compound was besieged by the Boxer insurgents in 1900, von Waldersee was appointed as head of an 8-nation relief force. Although he arrived too late to take part in the fighting, he conducted punitive expeditions which succeeded in pacifying the Boxers. Around 300 United States 6th Infantry troops leave St. Louis, Missouri to fight the Sauk Native Americans. 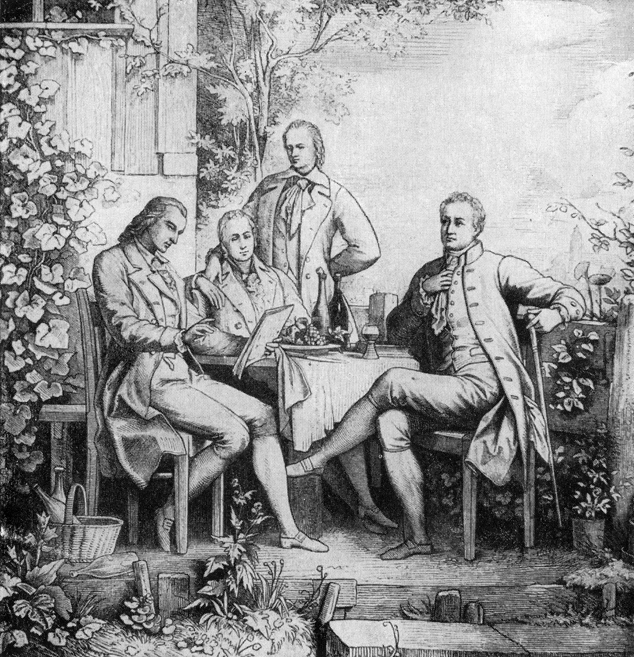 Friedrich Wilhelm Christian Carl Ferdinand von Humboldt war ein preußischer Gelehrter, Schriftsteller und Staatsmann. Als Bildungsreformer initiierte er die Neuorganisation des Bildungswesens im Geiste des Neuhumanismus und betrieb die Gründung der Friedrich-Wilhelms-Universität Berlin. The Great Western, the largest steamer of its time, runs off in Bristol, England on her maiden voyage to New York. Domenico Gaetano Maria Donizetti è stato un compositore italiano, tra i più celebri operisti dell'Ottocento. Edmund Gustav Albrecht Husserl war ein österreichisch-deutscher Philosoph und Mathematiker und Begründer der philosophischen Strömung der Phänomenologie. Er gilt als einer der einflussreichsten Denker des 20. Jahrhunderts. Husserls Denken prägte die Philosophie des 20. Jahrhunderts besonders in Deutschland und Frankreich und ist bis in die Gegenwart von großer Wirkung. Zu Husserls Schülerinnen und Schülern zählen Martin Heidegger, Eugen Fink und Edith Stein. Max Scheler, Alfred Schütz, Jean-Paul Sartre, Maurice Merleau-Ponty, Emmanuel Levinas und viele mehr wurden von seinem Denken maßgeblich beeinflusst. Obara Kuniyoshi was an influential Japanese education reformer and publisher. Obara left a strong mark in education philosophy and on the theories of liberal education, art education and vocational education. In addition to creating his own education theory, Zenjin (or "Whole Person"全人) Education, he was among the leaders of the New Education Movement in Japan and disseminated in that country the works of earlier reformers such as Johann Heinrich Pestalozzi. He was the founder of the campus Tamagawa Gakuen and for many years president of its university, Tamagawa University. a British economist. He was considered one of the most important and influential economists of the twentieth century. The most familiar of his many contributions in the field of economics were his statement of consumer demand theory in microeconomics, and the IS/LM model (1937), which summarised a Keynesian view of macroeconomics. His book Value and Capital (1939) significantly extended general-equilibrium and value theory. The compensated demand function is named the Hicksian demand function in memory of him. The representatives of Britain and France signed the "British-Law Treaty" in London to settle the conflict between the two countries for the colony. The British occultist Aleister Crowley begins writing his book Liber AL vel Legis (Book of the Law), with which he founds the new religious movement Thelema. Al culmine dell'eruzione più pesante del Vesuvio, che va avanti dal 4 aprile, dal 1631, le ceneri vengono lanciate fino a 1300 m. La cima della montagna è tagliata e perde oltre 200 m di altezza. L'eruzione vulcanica che dura fino al 22 aprile uccide più di 100 persone. At the height of the heaviest eruption of Mount Vesuvius, which has been going on since 4 April, since 1631, ashes are thrown up to a height of 1300 m. The top of the mountain is cut off and it loses over 200 m height. The volcanic eruption that lasts until April 22, kills more than 100 people. Das Märchenspiel Schwanenweiß von August Strindberg wird am Schwedischen Theater in Helsinki uraufgeführt. The fairytale play Schwanenweiß by August Strindberg premieres at the Swedish Theater in Helsinki. She was a Hungarian interpreter, translator and one of the first simultaneous interpreters in the world. Originally she graduated in physics and chemistry, but her interest soon led her to languages. Native in Hungarian, she was able to interpret fluently in nine or ten languages (in four of them even without preparation), and she translated technical literature and read belles-lettres in six languages. She was able to understand journalism in further eleven languages. As she put it, altogether she earned money with sixteen languages (Bulgarian, Chinese, Danish, English, French, German, Hebrew, Italian, Japanese, Latin, Polish, Romanian, Russian, Slovak, Spanish, Ukrainian). She learned these languages mostly by self-effort, as an autodidact. Her aims to acquire these languages were most of all practical, to satisfy her interest. Shibu Kiyosaburou、Japanese political scientist, historian. un philosophe, poète et écrivain roumain, d'expression roumaine initialement, puis française à partir de 1949, date de la parution de son premier livre écrit directement en français, Précis de décomposition. 「ソニア ヘニイ」a Norwegian figure skater and film star. She was a three-time Olympic Champion (1928, 1932, 1936) in Ladies' Singles, a ten-time World Champion (1927–1936) and a six-time European Champion (1931–1936). 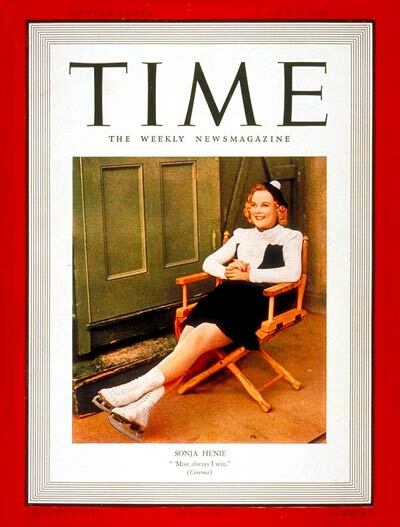 Henie won more Olympic and World titles than any other ladies' figure skater. At the height of her acting career, she was one of the highest-paid stars in Hollywood and starred in a series of box-office hits, including Thin Ice (1937), My Lucky Star (1938), Second Fiddle (1939) and Sun Valley Serenade (1941). Erich Georg Sebastian Anton von Falkenhayn war ein preußischer General der Infanterie, osmanischer Marschall und im Ersten Weltkrieg preußischer Kriegsminister sowie Chef des Großen Generalstabs. Sharia courts are abolished in Turkey, as part of Atatürk's Reforms. Ninomiya Chūhachi was a Japanese aviation pioneer. He is remembered for his unique aircraft designs - the "Karasu-gata mokei hikouki" ("Crow-type model aircraft", 1891)and the "Tamamushi-gata hikouki" ("Jewel beetle type flyer", 1893). He designed a flying machine with three engines earlier than the Wright brothers, and, even though machine failed to take-off, it contributed to Japan's accumulation of capabilities to design and manufacture unique world-class aircraft by the 1930s. U.S.President Franklin Roosevelt, in an attempt to check inflation, freezes wages and prices, prohibits workers from changing jobs unless the war effort would be aided thereby, and bars rate increases by common carriers and public utilities. an English electrical engineer and physicist, invented the first thermionic valve or vacuum tube, and also established the left-hand rule for electric motors. Robert Toru Kiyosaki (清崎 徹 Kiyosaki Tooru) is an American businessman and author. Kiyosaki is the founder of the Rich Dad Company, a private financial education company that provides personal finance and business education to people through books and videos. Vaslav Fomitch Nijinski (en russe : Вацлав Фомич Нижинский; en polonais : Wacław Niżyński), aussi retranscrit Vaclav Nijinsky ou Vatslav Nizhinski, est un danseur et chorégraphe russe d'origine polonaise. U.S.President Harry Truman calls for the seizure of all domestic steel mills to prevent a nationwide strike. Takahama Kyoshi est un poète japonais actif durant l'ère Shōwa. Son véritable nom est (高浜清 Takahama Kiyoshi?) 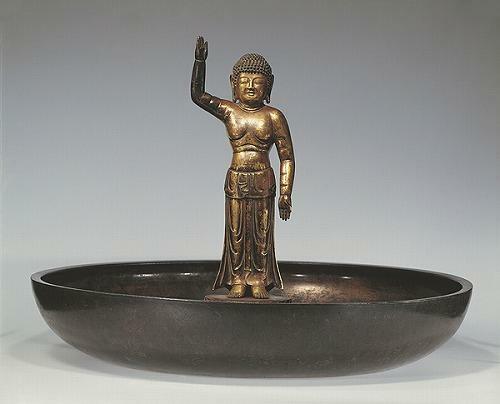 ; Kyoshi est le nom de plume donné par son mentor Masaoka Shiki 正岡子規186702. The Netherlands and West Germany sign an agreement to negotiate the return of German land annexed by the Dutch in return for 280 million German marks as Wiedergutmachung. BOAC Flight 712 catches fire shortly after take off. As a result of her actions in the accident, Barbara Jane Harrison is awarded a posthumous George Cross, the only GC awarded to a woman in peacetime. Regarded as one of the most influential artists of the 20th century, he is known for co-founding the Cubist movement, the invention of constructed sculpture, the co-invention of collage, and for the wide variety of styles that he helped develop and explore. Among his most famous works are the proto-Cubist Les Demoiselles d'Avignon (1907), and Guernica (1937), a dramatic portrayal of the bombing of Guernica by the German and Italian airforces. Release of The Clash, 1st album of punk rock band The Clash. General of the Army Omar Nelson Bradley was a highly distinguished senior officer of the United States Army during and after World War II. Bradley was the first Chairman of the Joint Chiefs of Staff and oversaw the U.S. military's policy-making in the Korean War. советский физик, инженер и инноватор. I suoi studi e le sue ricerche nel campo della chemioterapia e della farmacologia hanno permesso di migliorare la qualità e l'efficacia di molti trattamenti medici, in particolare dei sulfamidici (con nuovi prodotti antibatterici di sintesi), degli antistaminici (con una serie di farmaci ad azione più specifica) dei simpaticolitici (con nuove medicine per ridurre la pressione arteriosa, le alterazioni del sistema nervoso simpatico e degli stati di ansia), e dei miorilassanti (con i curari di sintesi, fra cui in particolare la gallamina, che hanno azione coadiuvante in chirurgia perché provocano un efficiente rilassamento muscolare). The first Thai-Laotian Friendship Bridge opens, connecting Vientiane with Nong Khai. As the second bridge spanning the Mekong, it allows the connection between the two capitals Bangkok in Thailand and Vientiane in Laos. Solomon "Sol" LeWitt was an American artist linked to various movements, including Conceptual art and Minimalism. LeWitt came to fame in the late 1960s with his wall drawings and "structures" (a term he preferred instead of "sculptures") but was prolific in a wide range of media including drawing, printmaking, photography, painting, installation and artist's books. He has been the subject of hundreds of solo exhibitions in museums and galleries around the world since 1965.
a British stateswoman who served as Prime Minister of the United Kingdom from 1979 to 1990 and Leader of the Conservative Party from 1975 to 1990. She was the longest-serving British prime minister of the 20th century and the first woman to have been appointed. A Soviet journalist dubbed her the "Iron Lady", a nickname that became associated with her uncompromising politics and leadership style. As Prime Minister, she implemented policies that have come to be known as Thatcherism.